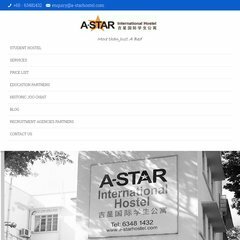 Topics: Hostel At Joo Chiat, and Government Schools. On average 1.40 pages are viewed each, by the estimated 30 daily visitors. The programming language environment is ASP.NET. Its 2 nameservers are ns6.ixwebhosting.com, and ns5.ixwebhosting.com. PING www. (72.41.24.187) 56(84) bytes of data.